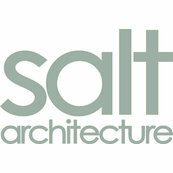 9 Reviews for Salt Architecture Inc.
We can't say enough about how terrific SALT Architecture is. They recently designed a house for us (a new build) in Cape Cod. The design was extraordinarily beautiful, and they were meticulous in their attention to detail. They also helped us hire and monitor a builder, and we could not have navigated the process without them. We have worked with many professionals over the years, and have not ever worked with such a highly professional, talented, patient and kind professional. We would recommend them enthusiastically, without reservation. We hired Salt Architecture to design an addition to our salt box house on Cape Cod.